The progress on the extension of the Heritage Trail from Goshen to Wallkill has moved forward significantly in 2015 compared to previous years, and it appears that funding is starting to come together as well. 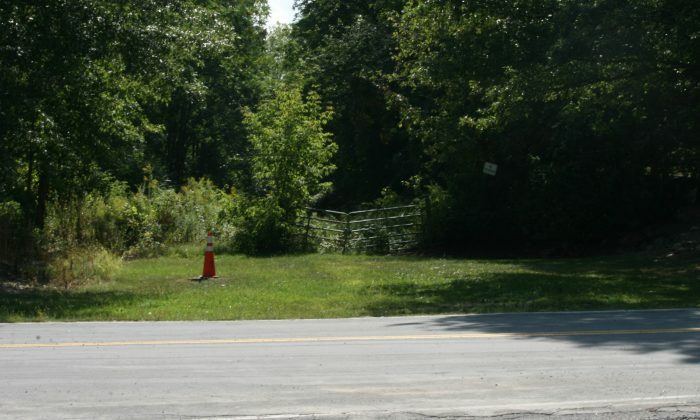 The county was awarded $500,000 earlier in December by the state for segment two of the trail, which runs from Hartley Road to East Main Street in Middletown, and just days later, the Orange County Industrial Development Agency (IDA) gave the project another $1 million. Several businesses have shown interest in sponsoring sections of the trail. Back in August, Parks, Recreation, and Conservation Commissioner, Richard Rose, estimated the project would cost $12 million, with 80 percent coming from the federal government. That leaves 20 percent for the county to fund. The 80 percent of the funding the federal government is supposed to provide is waiting on a Transportation Improvement Plan (TIP) amendment that would shift funding from federal fiscal year (FFY) 2015 to 2016 and increase the amount requested from $2 million to almost $6.8 million over a five-year period. That change will be voted on in the Orange County Transportation Council meeting on Jan. 19. Earlier this year he said he had talked to several businesses who might sponsor sections of the trail and said there was interest. Media relations director for the county, Justin Rodriguez, said these talks will be revisited in the spring and summer of 2016 “as project development is more formalized and all necessary agreements/easements are finalized,” he wrote in an email. The other piece of the puzzle that is waiting on funding is the intermunicipal agreement between the county and the city of Middletown that maps out who is responsible for what. City Mayor Joseph DeStefano said the agreement has mostly been hammered out, but the parties involved are waiting to know that the project will be funded before signing any contracts. Neuhaus will be going to the respective legislative committees in January to get the capital funding approved for the project, Rodriguez said. Once the committees approve it, the full legislature will have to vote on it. But even before that happens, Neuhaus said they can start clearing the trail of trees and other debris, and he hopes to start construction on it in 2016. “So we’re going full speed on it,” he said. The trail, which goes along the old Erie Railroad track, currently runs 11.5 miles from Monroe to Goshen.The plan is to extend the trail 10 miles from Goshen through Middletown and into Wallkill in three segments. Once complete, it will be a 10-foot-wide paved, shared-use path fit for pedestrians, bicyclists, in-line skaters, joggers, and wheelchairs. Supporters of the trail see it as not only a green alternative for commuters but a boost for outdoor recreation in the area. Several businesses have opened near the extension of the trail in anticipation of higher foot traffic, and many are talking about it as an economic engine to bring tourism to the area, especially from New York City. Commissioner Rose said the Heritage Trail is the second most widely-used park in the county.